Ji Chao is our Director of Software Engineering and a member of the Georgian Impact team. In that role he leads our internal software engineering efforts and supports portfolio engagements. Prior to joining Georgian Partners, Ji Chao was a Software Development Engineer at Amazon, where he worked on the design and development of the data platform, business analytics and machine learning system to support supply chain optimization and fulfilment. Prior to Amazon, Ji Chao was a Senior Software Developer at Bloomberg, where he designed and implemented software components in Bloomberg’s Tradebook equity trading system and was an advocate on best practices in OOD/OOP/C++. He was also a Senior Software Developer at IBM where he worked on compiler technology, programming language implementation and expert systems for test failure investigation. Ji Chao holds a Master of Computer Science in computer software engineering from the University of Ottawa and a Bachelor of Engineering in computer science from Zhengzhou University. Integrate.ai’s mission is to build a future in which AI enriches people’s lives while creating better, more valuable businesses. To do this, the company is building an AI powered platform for B2C enterprises that integrates with business processes to make customer interactions more natural and valuable. 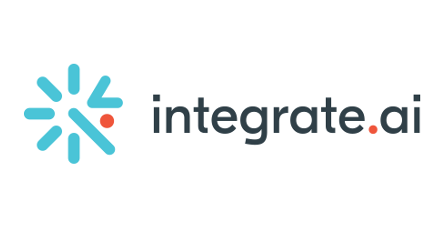 Founded by Steve Irvine, former Facebook executive, Integrate.ai is proud to be based in Toronto, Canada at the center of an exciting AI ecosystem. WorkFusion is committed to powering the digital transformation of work. We offer software products that let enterprise leaders digitize their operation, exponentially increasing productivity and improving service delivery. WorkFusion’s engineers, data scientists, designers, and customer teams are bound by a single purpose: to deliver enterprise-grade, AI-powered products purpose-built for operations professionals.